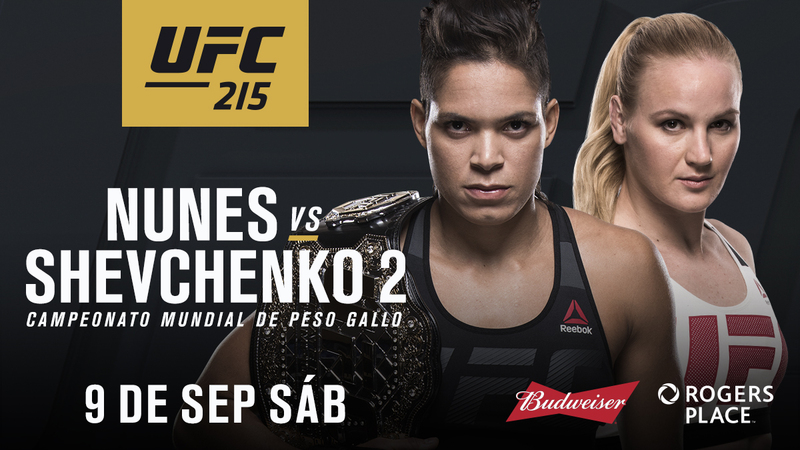 Nunes vs. Shevchenko Rematch Tonight! The highly anticipated rematch between UFC women's bantamweight champion Amanda "The Lioness" Nunes (14-4) and number one contender Valentina "Bullet" Shevchenko (14-2) goes down tonight at UFC 215 in Edmonton, Alberta, Canada at Rogers Place. Catch this main event fight on the PPV starting at 10 PM ET. Tune in early at 8 PM ET for the Fox Sports preliminaries featuring two additional ladies fights. First up will be Sarah "Cheesecake" Moras (4-3) and Ashlee "Rebel Girl" Evans-Smith (5-2) followed by Sara McMann (11-3) and Ketlen "Fenomeno" Vieira (8-0).